With the topic matter I deal with, a “festive” episode is not really on the cards. However, this incident was referred to as a miracle, so it’s probably about as close as I’ll get. I confess that I’m not the world’s most experienced flyer; in fact I’ve only been on a plane twice in my life. That, and my interest in disasters, meant that I paid a lot of attention to what the flight attendants said. Not everybody does, though. If you’re flying regularly, you’ll get used to hearing the safety instructions. You may become a little blasé. And some people do seem to think of flight attendants as little more than airborne waiters. 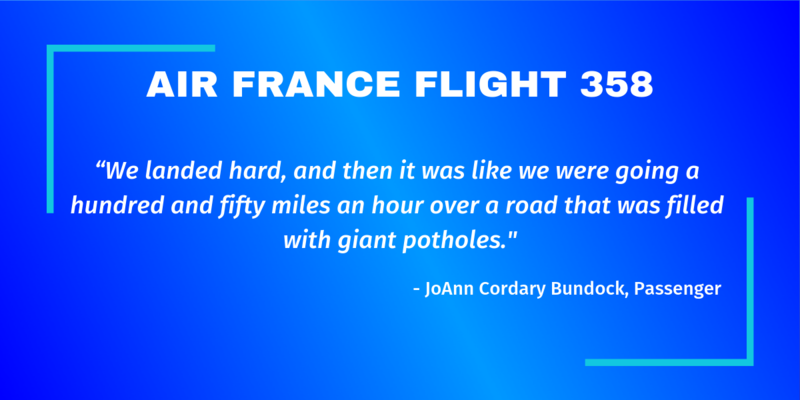 The story of Air France 358 shows how much more they are. It’s thanks in large part to their training that the evacuation happened so efficiently, despite the problems that arose. Rather, it’s more a reflection of our daily lives. We increasingly document our days, moment by moment, so it makes a lot of sense that it’s becoming an instinct to document disasters for ourselves, too. It’s not always worth it, though. Better to live without that shot on your Instagram than to die trying to get it. USA Today – Disaster photos: Newsworthy or irresponsible? 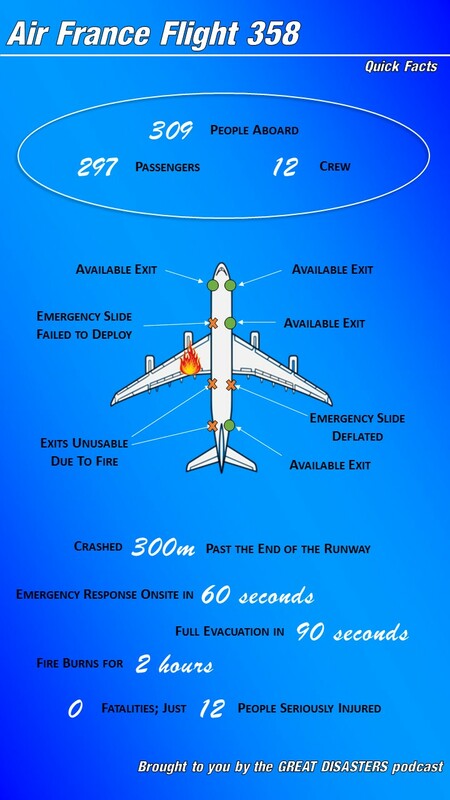 The crash of Air France Flight 358 was featured in an episode of Mayday/Air Crash Investigation originally aired in 2007, entitled “Desperate Escape”.